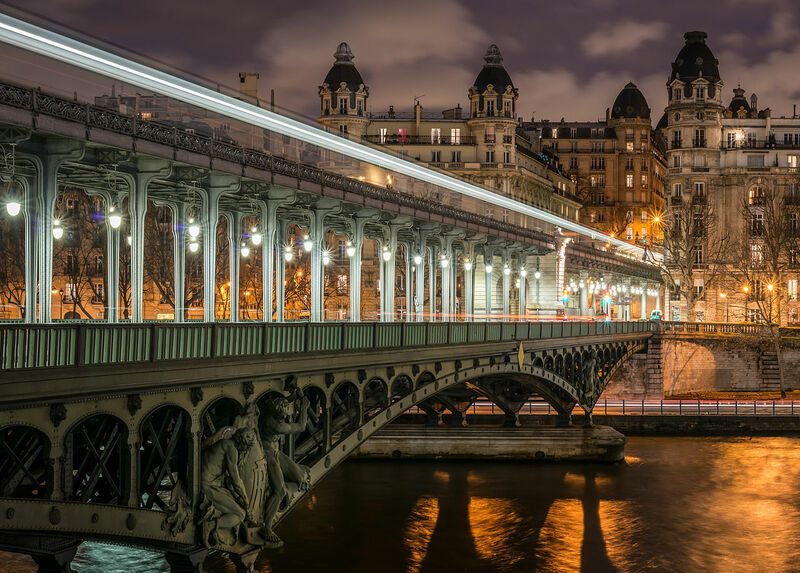 There are other reasons to visit the 16th arrondissement of Paris than Rolland Garros! Luxurious district, it is also the lung of the French capital, full of genuine streets and famous museums … The Hotel Raspail Montparnasse offers you an itinerary to discover this district in a different way. Our walk starts at the Passy metro stop (line 6, 15 minutes away from the hotel). We could go up the rue de l’Albony, and turn right on the Boulevard Delessert to visit the Trocadero Garden. It is a beautiful green space of 93,930m² created in 1937 for the 1st World Fair of Paris, with a breathtaking view of the Eiffel Tower! However, we’d rather go the other way, towards the banks of the Seine! We arrive then at the Bir Hakeim Bridge … No column duplication here, nor murderous Marion Cotillard, but still, the show leaves us speachless. Then we go along the banks towards the South of Paris, until the street of Ankara on the right. We are now in the heart of the Passy’s hilly area, ​​and close to the amazing rue Berton. Authentic street filled with an old day’s sweetness, we could even forget that we are in the center of Paris. At the end of the street though, back in the city. On the left in the Avenue de Lamballe, is located the impressive embassy of Turkey. Old mansion of the 17th century, it was the residence of the princess of Lamballe, Queen Marie Antoinette’s favorite! Indeed, the Marmottan Monet Museum (https://www.marmottan.fr/) is located on the other side of the garden. Former mansion of Paul Marmottan, it is known to house the worldwide most important collection of Claude Monet. We can also admire works by Manet, Degas, Morisot, Pissaro, Renoir, Sisley, Daumier … And we love it! Go green in the 16th arrondissement! Behind the museum stands the Bois de Boulogne, and in its center the Bagatelle Park. You can see there a beautiful castle, exotic bamboos, beautiful water features, waterfalls, caves, free peacocks, and an incredible rose garden … Place of libertinage for the nobles of the 18th century, it is today the perfect place if you need a breath of fresh air! Little shopping detour in the Parisian district of luxury and haute couture! Do not forget to pass by the Avenue Montaigne, the Avenue of Haute Couture. On the program: Dior, Channel, Givenchy, Versace and Louis Vuitton boutiques, etc. Well, ok, we are no longer in the 16th arrondissement anymore, but it is for a good cause! Paris is full of secrets … The Raspail Montparnasse Hotel offers you a plunge into the beauty of the city to discover them! On the program: walks, anecdotes, legends and intrigues … Rediscover with us the Paris that even some Parisians do not know.